…I knew Children Central was the best fit. As an educator, I know how important it is for young children to have well rounded experiences in their early years in order for them to develop to their highest potential. 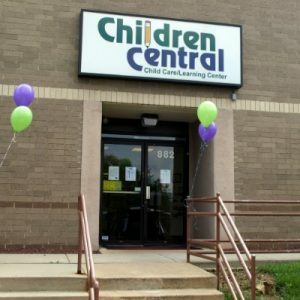 I researched many options in the area and was thrilled and relieved to find Children Central. After visiting several child care centers, I knew Children Central was the best fit. They offered much more than the high priced chain centers (KinderCare, Goddard School). They have a quality curriculum, clean facilities, happy and loving teachers, delicious lunches made by their own chef, a wonderful playground and so much more. I feel confident that we made the best choice, especially with the Keystone Star 4 rating! Colton loves the Kid’s Round Music program. He has learned so many new things! Check out their website to see all the wonderful things they offer and request a tour, you will be impressed. Child care is a big expense, but your child is worth it! I found places that cost less, but many didn’t have a recognized curriculum, or certified teachers. Do your research! The owners, Kevin and Sharon, are on-site and always available to ask a question. They are flexible and work with your schedule.